NerdWallet today released the results of its 2018 Home Buyer Report, which revealed that despite low inventory, rising home prices and higher costs of living, 75 percent of Americans still say buying a home “is a priority,” and 35 percent of Americans plan to purchase a home within the next five years. 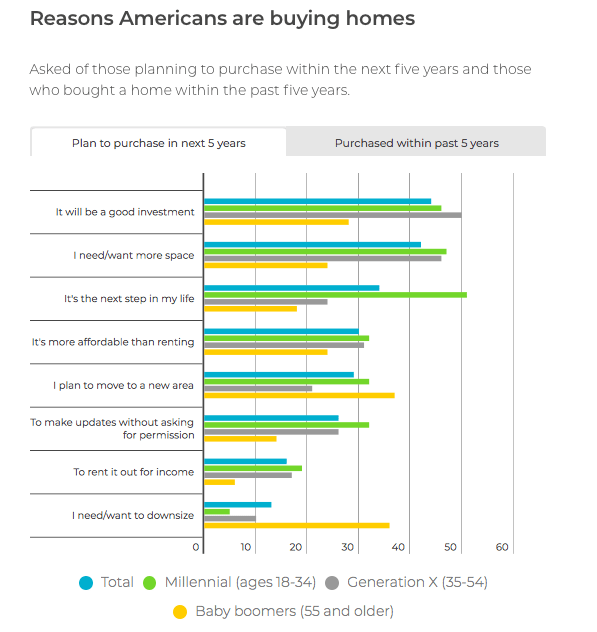 Out of all age groups, millennials (49 percent) are the most likely to say they’ll buy a home by 2023, followed by Gen-Xers (35 percent) and baby boomers (17 percent). Each of these buyer groups say their homeownership goals are motivated by the long-term investment benefits that come with purchasing a home, especially when equity and other factors are taken into consideration. 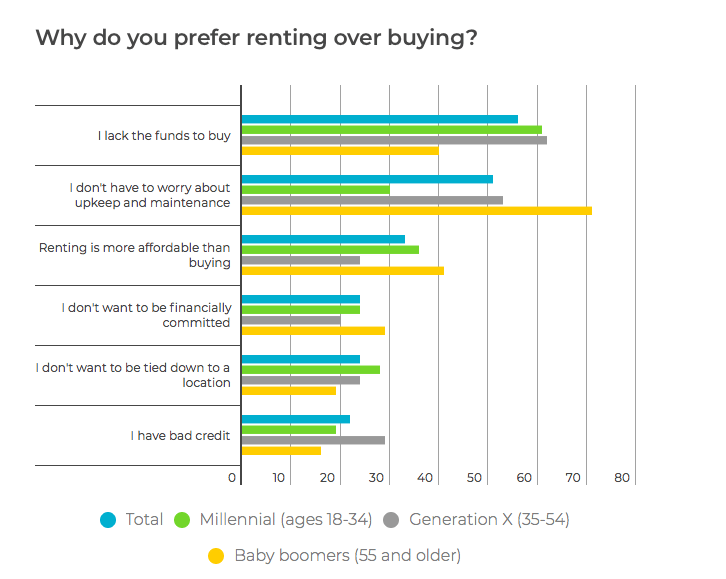 Fifty-two percent of respondents said, “I would rather have a home I own appreciate (increase) in value than have more money in retirement savings.” Furthermore, millennials and Gen-Xers (42 percent) are more likely to want a home they can rent out in the future (59 percent). “The goal of every homeowner is to one day sell your house for more than you paid for it. And there are a number of things homeowners can do to help boost their value,” said NerdWallet mortgage expert Tim Manni in a statement. For the 33 percent of Americans who prefer renting over homeownership, cost is a driving factor in their decision, especially when home prices are currently rising 7 percent year-over-year to some of the highest median home prices ever recorded. Although Manni says renting is sometimes framed as “throwing away money,” he notes renting can be the perfect opportunity for aspiring buyers to adequately prepare themselves for homeownership by saving up a good down payment and creating good financial habits that will result in better mortgage rates and lower monthly mortgage payments. And speaking of down payments, the report reveals that 44 percent of Americans believe they “have to” put down 20 percent, which can be daunting when median home prices are topping $250,000. Although a 20 percent down payment is preferable, Manni says it’s important for prospective buyers to remember they can put down as little as three percent, which makes homeownership a much more attainable goal. The 2018 Home Buyer Report’s survey was conducted online within the United States by Harris Poll on behalf of NerdWallet from Dec. 7-11, 2017, among 2,165 U.S. adults ages 18 and older. This online survey is not based on a probability sample and, therefore, no estimate of theoretical sampling error can be calculated. For complete survey methodology, including weighting variables and subgroup sample sizes, please contact Maitri Jani.